Professor Andrew Laing is the director of IBAL and an associate professor at the University of Waterloo. Professor Laing leads the research team of graduate and undergraduate students. Meet our current research team. Benoit has successfully defended his thesis in fulfillment of the degree requirements of Masters of Science in Kinesiology. Benoit's thesis, “Factors Influencing Measures of Trochanteric Soft Tissue Thickness”, will help drive further research into the role of soft tissue in reducing the risk of hip fracture. 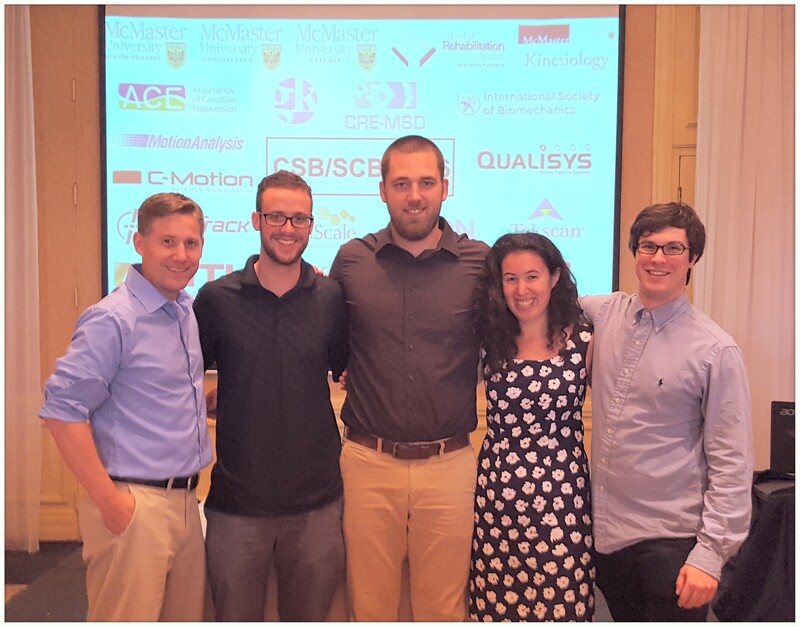 The Injury Biomechanics and Aging Lab was in attendance for the 19th meeting of the Canadian Society of Biomechanics hosted in Hamilton, Ont. IBAL team provides three oral presentations at the 2018 Ontario Biomechanics conference (Steven Pretty, Taylor Winberg, Dan Martel, Andrew Laing).